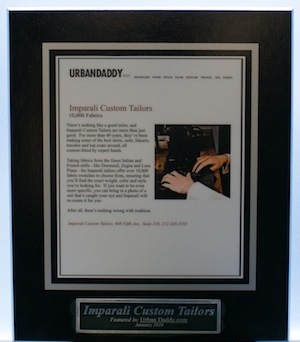 Imparali Custom Tailors strives to provide a truly differentiated, high quality clothing and unparalleled client experience. We believe that our commitment to quality and style will speak volumes on its own. Even so, it's great to hear it from others and fellow experts. "I was pleased with how Matt and his team treated me on my draft day. 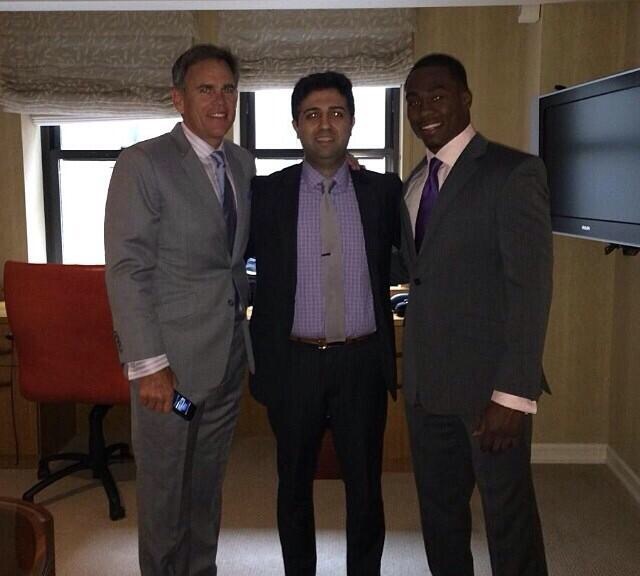 The suit fit like a glove and I was complimented on it throughout the day." "The master craftsman at Imparali Custom Tailors can sew you a polished-yet-affordable look from one of 10,000-plus fabrics. It's best to call ahead to make an appointment, but the results are well worth the effort." 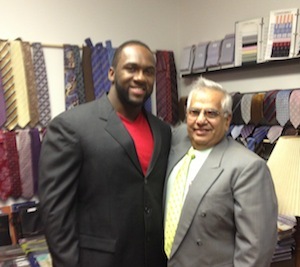 "Best Tailor – This midtown shop is one of the few tailors in town that doesn't charge extra for larger suits... girthy guys can feel comfortable in top-notch formal wear fine-tuned to fit their bodies." 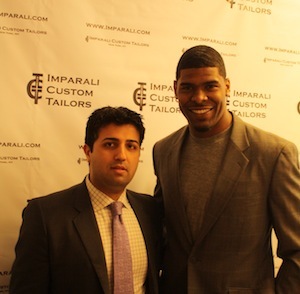 "There's nothing like a good tailor, and Imparali Custom Tailors are more than just good. For more than 40 years, they've been making some of the best shirts, suits, blazers, tuxedos and top coats around, all custom fitted by expert hands. Taking fabrics from the finest Italian and French mills – like Dormeuil, Zegna and Loro Piana." 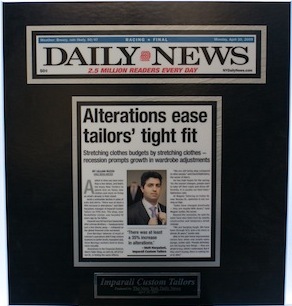 Alterations provides a great way to save ill-fitting garments in good condition, "A stitch can save more than a few dimes... Matt Harpalani, manager of Imparali Custom Tailors on Fifth Ave. 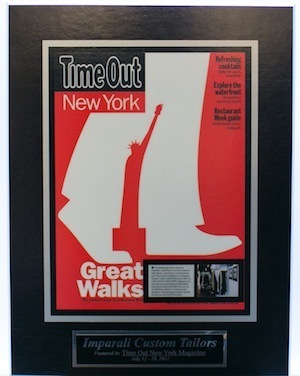 The shop, near Rockefeller Center, was founded 42 years ago by his father." 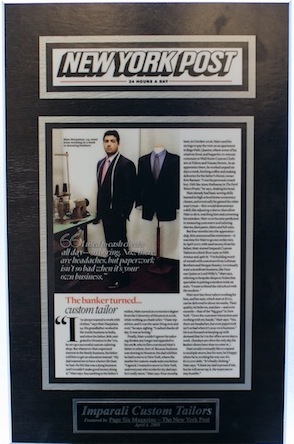 "The banker turned... custom tailor. 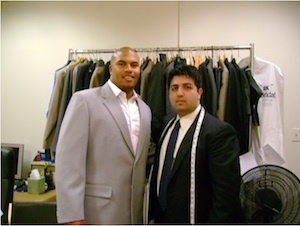 In April 2007, with seed money from his father, Matt started Imparali Custom Tailors at Fifth Avenue and 49th St. ‘I'm building word-of-mouth with customers from Barclays and Morgan Stanley.'" "First off, let me just say that this is, by far, THE BEST fitting suit in my wardrobe and that one of the greatest things I have learned through the custom process is just how much fun it is to build your own suit." "It was love at first sight as I took in the suit's beautiful, finely-detailed simplicity. When I put it on, it was nearly perfect. I say "nearly" because I apparently lost a pound or two in the four weeks... the following week, the suit was ready for another fitting. In a word: wow. He was ready to make further adjustments if necessary, but he had nailed it. I had never worn anything that fit this perfectly or felt this good." "All suits jackets are fully canvas (no fusing) and my favorite detail is that the buttons are anchored on your jackets (which is a feature I am to see in any other custom clothing brand). With the addition of their eCommerce site, anyone is able to purchase their products online and can consult with their style advisors live via the web (E-tailor service). 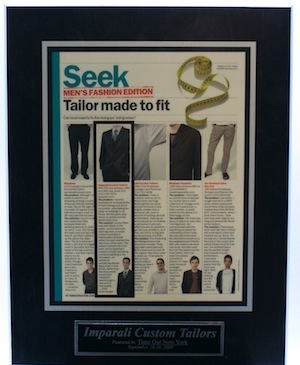 Overall, Imparali gets an A for service, product and general experience." "Matt was recommended by several Members in the Forum. His offices are at 555 Fifth Ave, Suite 703, New York City, NY 10017. Yes Fifth Avenue! And you have to visit Matt since the building has the most beautiful art décor lobby and elevators I've ever seen! Matt knows about fabric and tailoring and is great to work with." "We commissioned a 6×2 Double Breasted three piece suitin a lightweight 7oz summer wool in electric blue with cream suede elbow patches... the suit turned out wonderfully without an in-person fitting. 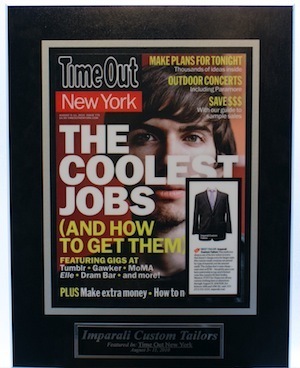 We are fortunate to be a recent recipient of one of Matt's creations." "I entered into this endeavor hoping for the perfect charcoal grey suit, and that's exactly what I got. It's a conservative, well-cut suit made of good fabric that compliments my build and contains all of the little details I asked for executed exactly. It is a garment that I should be able to wear for many years to come, which is exactly what you'd want from a custom suit. Bravo Imparali!"